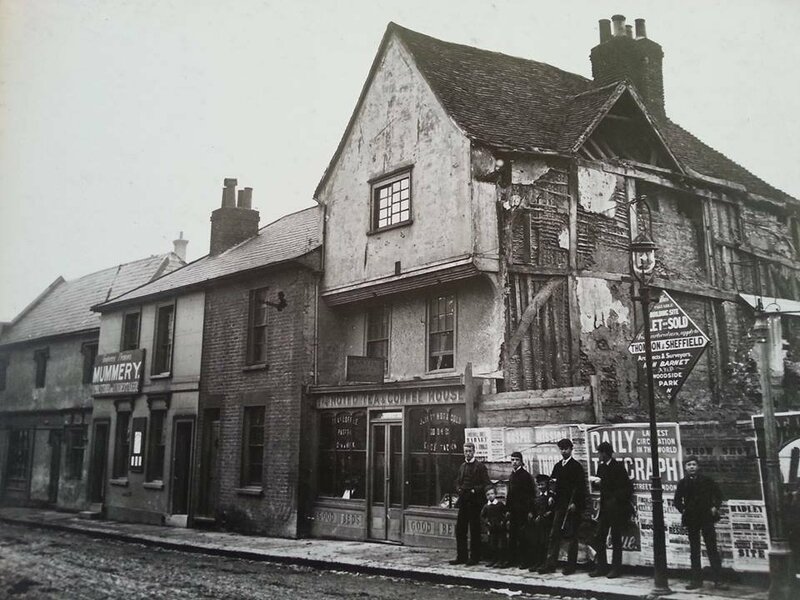 This photo is of the parade opposite the Monk public house in Barnet. Probably circa 1900. This is the Monken Hadley end of Barnet High Street. Monken Hadley was the main site of the Battle of Barnet in 1471, one of the two principal engagements of the Wars of the Roses. An ancient country village north of Barnet, it is now a suburban development situated on the very edge of Greater London 11 miles north north-west of Charing Cross, while retaining much of its rural character. 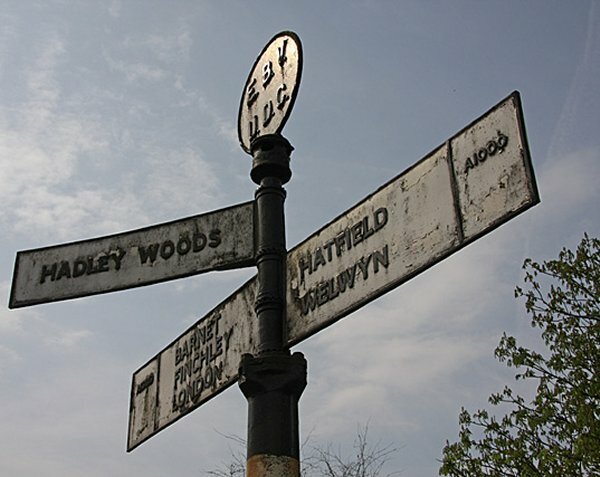 During the 1471 Battle of Barnet, troops advanced through the village, although the action took place north (Hadley Wood) and west (Hadley Green) of the settlement. Although the retreat of the forces of Lord William Hastings (at the hands of the Earl of Oxford) took place in the parish of Barnet, all of the other key engagements were within Monken Hadley parish, including the historically significant death of Richard Neville, 16th Earl of Warwick, believed to be at the place where a monument now stands on the Great North Road. The parish church of St Mary the Virgin was built in its present form in 1494 (the date being carved in stone over the west door) although a church is believed to have stood on the site for over 800 years. The present building is in the perpendicular style, and includes two side chapels (in transepts) dedicated to St Anne and St Catherine. The building was heavily renovated in Victorian times, and contains large quantities of Victorian woodwork furniture. The parish and church were heavily influenced by the Oxford Movement and it remains a focus of eucharistic worship within the surrounding district. Historically Monken Hadley was a civil parish of Middlesex forming part of a small protrusion into Hertfordshire. 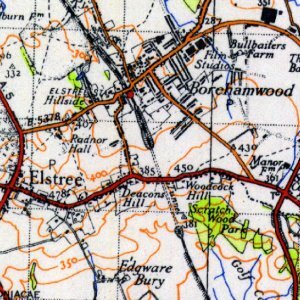 In 1889, under the Local Government Act 1888, the civil parish was transferred to Hertfordshire. 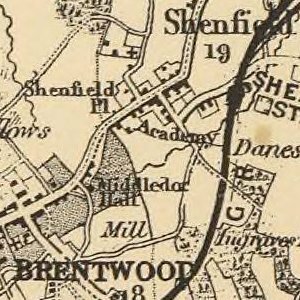 Under the Local Government Act 1894 the parish was split with a Hadley parish becoming part of the Barnet Urban District, while the remaining part of the parish became part of the East Barnet Urban District, both of Hertfordshire. In 1965, under the London Government Act 1963, its area was transferred to Greater London and combined with that of other districts formerly in Hertfordshire and Middlesex to form the present-day London Borough of Barnet.